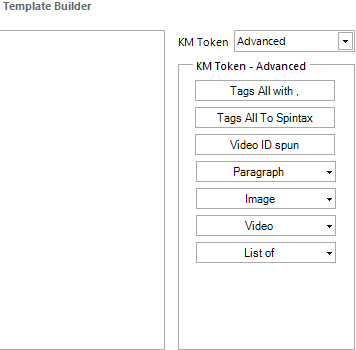 KontentMachine is the first content generation software that allowed you to build your templates for exporting content. This feature is extremely useful in the case when the tool you are using has not been covered in the predefined templates, or you are using a custom made tool. In this tutorial, you will learn how you can build your own template and what each of the tags mean. Assuming you have set up your campaign, and you are on the Link Settings window. 1. Click on the Build & Export button. 2. 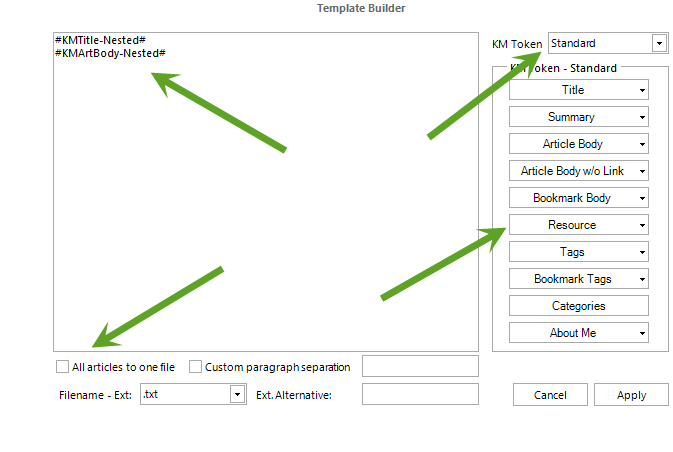 In the Template Builder panel click on the Create New button. Advanced. Those tags will insert content for more special occasions. 4. If you want to export all articles to a single file then just check the All Articles to One File checkbox. If you choose this option, you should select some separation between the articles. The type depends on the tool you are using. 5. If the submission tool does require some special separating tag/keyword between the articles in a single file then check the Custom Paragraph Separation checkbox and insert it into the text field next to it.